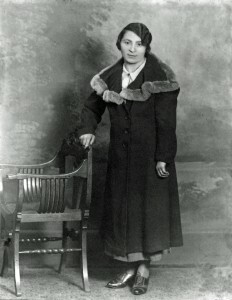 Luisa Tazio first appears at Painesville, Lake County, Ohio, in 1917. In America Luisa Tazio was known Louise Borelli. Luisa Tazio, daughter of Giovanni Tazio and Mariantonia Patti, was born on May 16, 1900, at Casalciprano, Campobasso Province, Molise, Italy. Luisa married Giovanni Borelli, son of Pasquale Borelli and Angela Calitto, on April 19, 1917, at St. Mary Catholic Church, Painesville, Ohio. Luisa Tazio died on January 6, 1969, at her doctor’s office of a heart attack. Her body was interred at Riverside Cemetery, Painesville, Ohio. Luisa Tazio emigrated from the port of Naples, Napoli Province, Campania, Italy, on October 16, 1906, aboard the ship SS Cretic. Luisa emigrated with her mother Mariantonia Patti. Luisa is listed as “Luisa DiTazio” on the ship manifest. Luisa, age 6, first immigrated to the United States on October 29, 1906, at Ellis Island, New York, New York. Luisa Tazio’s final destination was Toronto, Canada. She was joining her father, Giovanni DiTazio. 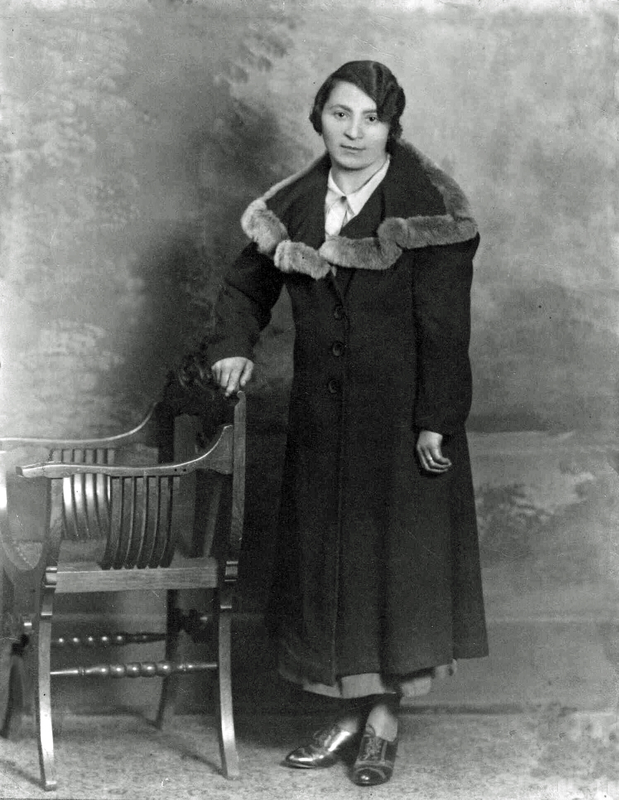 Luisa Tazio crossed the American Boarder at Niagara Falls, Niagara County, New York, on December 30, 1915. Luisa Tazio was cited on the World War One draft card of Giovanni Borelli when Giovanni registered for the military draft on June 5, 1917. Luisa was living at 215 Storrs Street, Painesville, Lake County, Ohio. She was cited as “Mrs. Giovanni Borelli”. 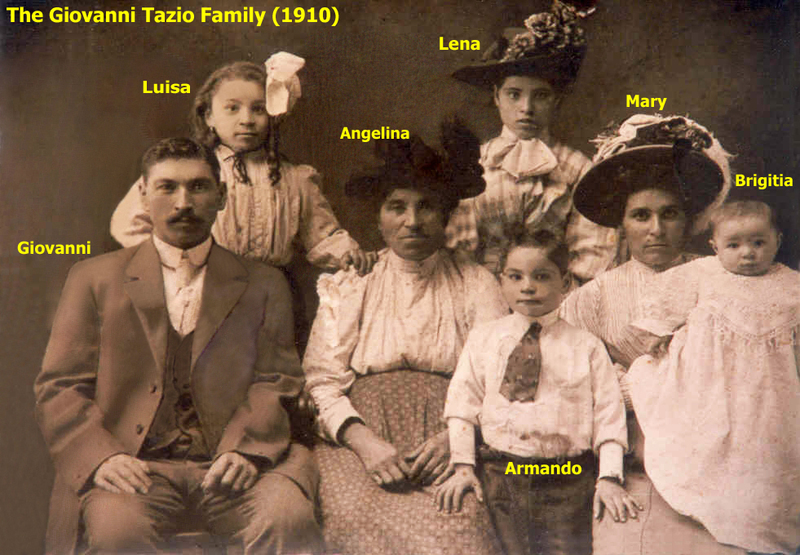 Luisa Tazio was enumerated for the 1920 Census of the United States, on January 9, 1920, living at State Street, Painesville, Lake County, Ohio, as the wife of Giovanni Borelli. She was enumerated as Louise Burrelli. 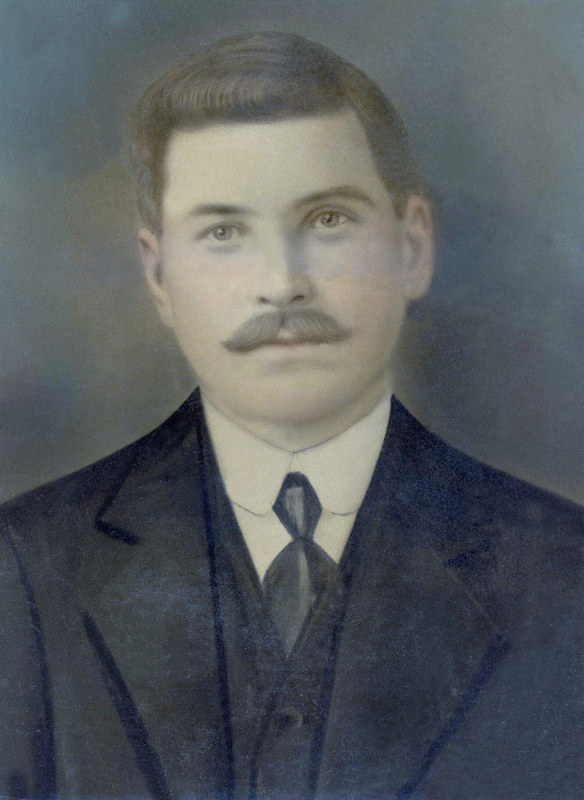 Louse Borrella was enumerated for the 1930 Census of the United States, on April 11, 1930, living at 595 Storrs Street, Painesville City, Lake County, Ohio, as the wife of Giovanni Borelli. She was enumerated as Louse Borrella. 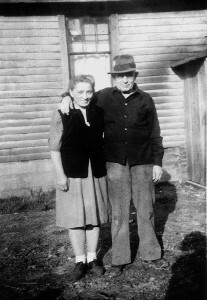 Luisa Tazio was enumerated for the 1940 Census of the United States, on April 11, 1940, living at 595 Storrs Street, Painesville, Lake County, Ohio, as the wife of Giovanni Borelli. She was enumerated as Louisa Borelli. 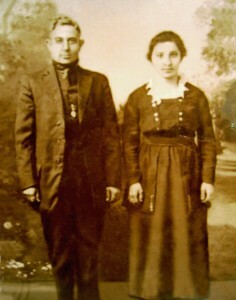 Luisa Tazio became a citizen of the United States in 1944. Luisa resided at 595 Storrs Street, Painesville, Lake County, Ohio, when she was naturalized. She was naturalized using the name “Louise Borelli”. The record also states that Luisa “was also known as” Luisa Tazio. At the time of her death, Luisa resided at 814 High Street, Fairport Harbor, Lake County, Ohio.